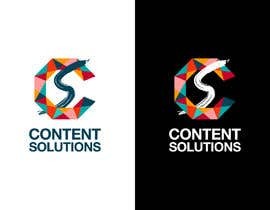 STOP COPYING work from online or from other designers - due to previous copyright infringement the contest is changing and the colours are changing too - READ the FULL description please. NO similar designs to others or that can be found with a quick Google search will be considered and stop submitted 5 designs for the same logo - submit your different colour variations in ONE image design, please max 2. 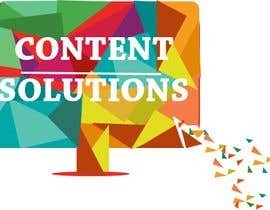 We are a content marketing agency that will provide the following services to clients: copywriting, online PR, infographics, influencer marketing and digital marketing strategies. 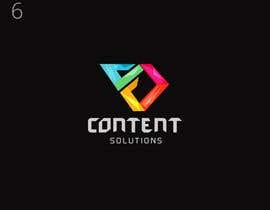 Our business name is Content Solutions. 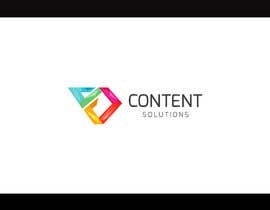 You will be required to do the FULL BRANDING KIT and identity NOT just a logo. 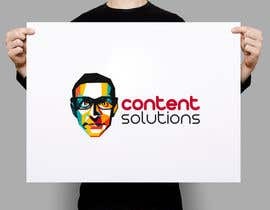 We need you design a logo and come up with the fonts and everything that will make this an official brand we can design our website and our proposal documents around and then share matching social media graphics to wow our audience. PLEASE READ: We want the following: Modern, fresh, funky and a touch of simplicity but that shows creativity with style! Please see attached documents for more information/samples. We want CREATIVITY, please. Even consider a 3D look or abstract design. See attached photo called" 'colour scheme' for colours. We are looking to add to these more colour variations that will compliment this in designing banners, social media images etc. SO please feel free to play around with colours that compliment these main colour choices! Please submit your own ideas, logos will be Googled to make sure nothing is copied from other businesses or logo generator tools. Also, don't copy other designers work here as you will be rejected. No Shutterstock designs either please. Please make sure you understand our request and ask questions if you are unsure as we really don't want to waste your valuable time on you submitting incorrect design work. Looking forward to working with you and thank you for your time with working on our new agency. This contest might lead to more work with us as our designer. Due to time restrictions, we can't give feedback to everyone, we value your time and sorry that can't get personally to everyone here. Are you aware that your winning entry is from another site and has been copyrighted? 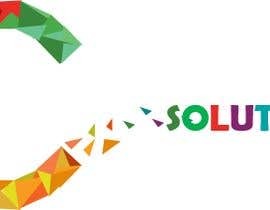 I suggest you research this winning logo from CYBER SOLUTIONS. Please share how you found this because I used four different tools to scan internet and couldn't find it - would love to know for checking other entries? Thanks! please check Entry #631 #632 #633. Contest holder, please take notice as many designers saying you selected copied logo as a winner. Please check #587 Thanks. Your top entries will be copy because they are avalabe. My all entries are 100% copy free. Please recheck my all entries. pls check my new design on flat look. To say nice design but not for us at this time as we eliminate options. thanks for your time. Because to say to you that it is a nice design but not what we want at the moment. thanks for your time. Bit surprised - none of the top selected entries are modern or funky, and are very similar to ones found online. Someones going to get easy money on this one. Good luck to you all. Thanks for your feedback Mike always good to hear opinions. We will definitely be scanning and checking all designs against copied online brands. What would you say is a modern, funky design - got any ideas you want to submit? Thanks. I have submitted a couple which you didn’t like which is fair enough. I will submit some more options. So far the ones you seemed to like were very generic, undunamyic ideas. #308 though is definitely a step in the right direction. Clean, clever, and with a subtle but colourful pallette.